To contact Valerie Orsoni's publicist, please email shecht@coachinglabs.com. Our online healthy living coaching programs created by Valerie Orsoni and her team have been endorsed by the media worldwide. You may have seen Valerie Orsoni on TV, heard about us on the radio, or read about us in the newspaper or your favorite magazine. 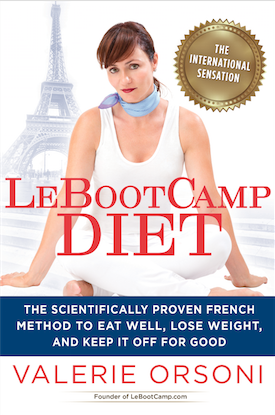 And now you can take your coach with you everywhere, with her latest book "LeBootCamp Diet: The Scientifically-Proven French Method to Eat Well, Lose Weight, and Keep it Off For Good", published by the Penguin Group.